Earl Fultz is from Montana and his wife Gloria was born in Morocco. Gloria tamed the fiery spices of her native land so their children could enjoy the flavors of Moroccan cuisine on their favorite American foods. 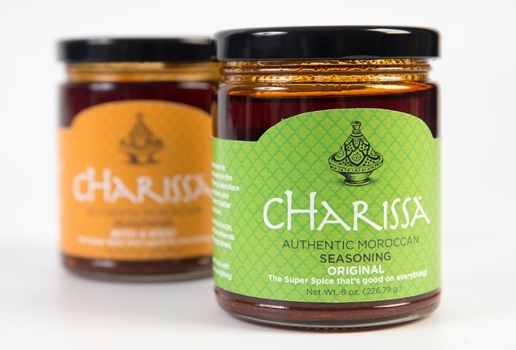 The result was cHarissa, a family recipe for 50 years. Although often urged to sell their spice, it was only as Gloria’s health declined that the couple agreed. Earl hoped it would be a diversion for her; she thought it might help Earl fill the void when she passed. At 89, Earl began selling cHarissa at farmers markets with immediate success. While Gloria died, part of the profits go to support social causes she championed. And Gloria was right: cHarissa helped fill the void for Earl, but only partially.